With summer bearing down on us, let us return underground where many priests escape Tekumel’s hot season in the eleventh section of the “My Private Jakalla” megadungeon project. The goal of this long-term project is to make a large set of maps that interconnect to produce something thematically similar to the original Jakallan Underworld map that M.A.R. Barker used in his Empire of the Petal Throne games. 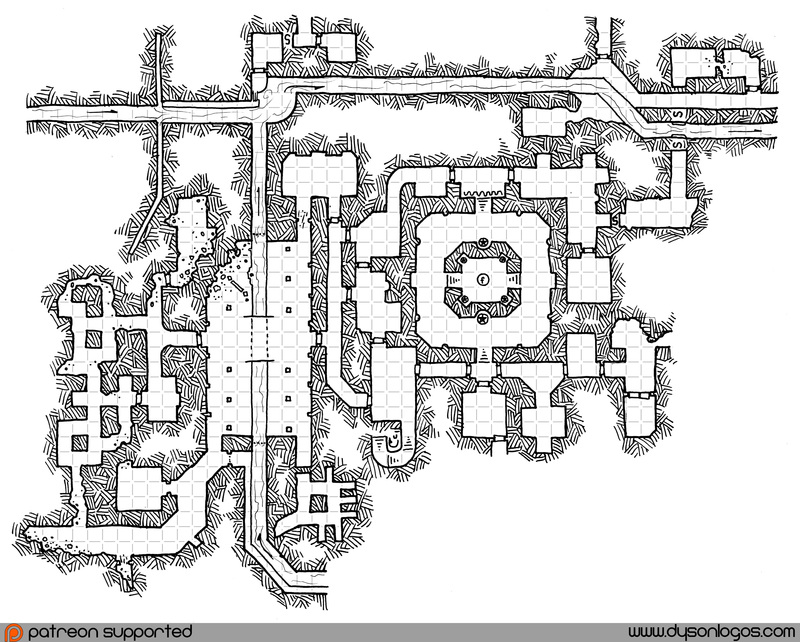 This is the eleventh map in the set, this tag link will bring you to the full list of maps in the set. While this map is heavily sewer-based, it really scratches my main itch when it comes to the classic Tekumel Underworlds – a mix of temple understructures (the stuff on the centre-right), old ruins and remnants of other temple understructures (the stuff on the left), and the facts of life getting directly involved in the ruins (the sewer line opening up in the old temple ruins with a bridge over it and everything). For a little extra flair (and detectable through the classic “spot new construction” abilities), we have a set of crypts that were sealed off from the old temple probably around the time that it was decommissioned in a previous Ditlána. (For those not familiar with Tekumel, Ditlána is the custom of ceremonial “renewing” of many cities that happens when the temples of change are ascendant in the city (usually every 500 years or so) – cellars and foundations of an old city are filled in and roofed over, upper floors are razed, and then new and more splendid edifices are built upon this foundation. The connection map here shows how I’ve finally tied in the sewer lines with this map, and how the map connects to both 1J and 1B. However, there’s another exit from this map that leads to the gap between 1B, 1A, and 1J. 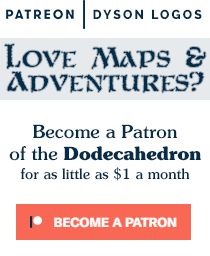 I put this in because the design was starting to feel a little too “open”, so I’m throwing in an extra map in that gap later this month (Map 1L). 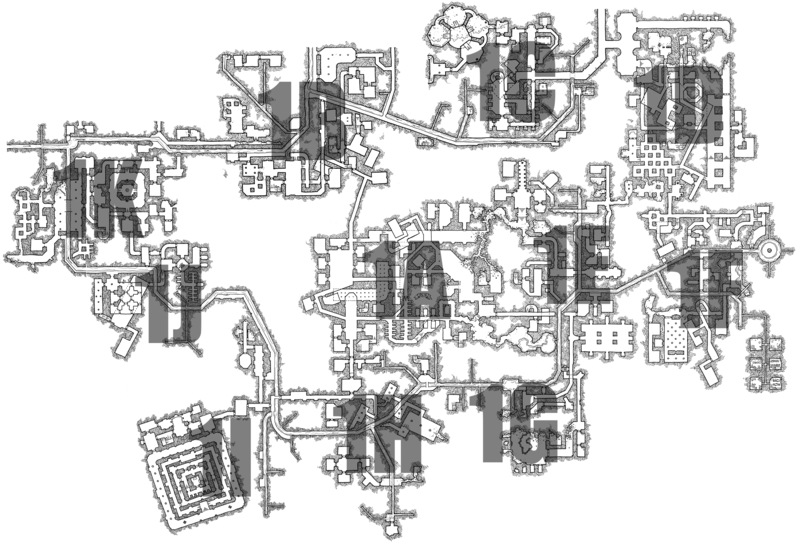 This region of the undercity has one surface access point – the temple stairs into the central temple area. In the lowest point of that same temple structure we have a trap door in the floor, leading further down into the lower levels of the undercity. Outstanding! Thank you for providing another section… Keep Going! And thank you for including a gridless version! Wondering if you have plans to release this as a book?